Advantages of Cold-formed Steel (4) - ZhangYun Machinery Manufacturing Co.,Ltd. Cold-formed steel features superior chemical and physical qualities that give it a broad range of advantages over other framing materials. Steel does not burn and will not contribute to the spread or intensity of a fire. Because of this, cold-formed steel projects can easily be designed to meet code fire rating requirements. Non-combustible structures, like those built with cold-formed steel framing, have a better loss history than combustible wood framing. This often translates into lower costs and broader coverages for many types of construction insurance. Steel is the only building material that is infinitely recyclable. As a recognized green building material, cold-formed steel framing projects can earn credits for green building ratings such as LEED and similar programs. At present, some advanced anti-corrosion technologies and processes are constantly emerging, such as the use of weather-resistant materials and new plating processes, providing good solutions for the corrosion protection of cold-formed thin-gauge steel. The production process of high-strength weathering steels has matured and has been widely used in railway systems. 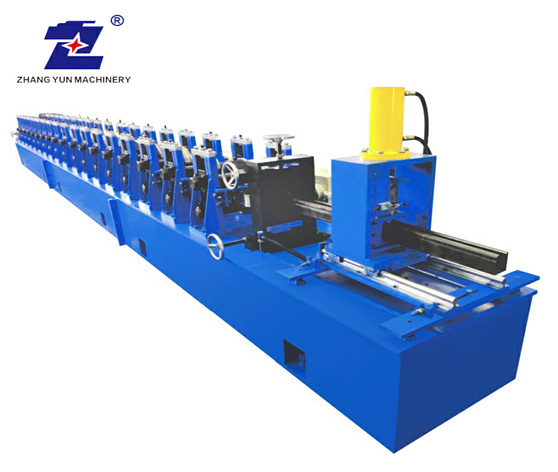 Recently, Zhangyun Machinery Manufacturing Co., Ltd has devoted to manufacturing high precision and high speed pipe making machines. This type of aluminum pipe making machine through optimization design, best material choice and accurately fabrication and rolls, the hole line can be reached high precision and high speed. With suitable range of pipe diameter and wall thickness, pipe production speed can be adjusted.